FUJIFILM North America Corporation, Graphic Systems Division debuts print illustrated, an all-new industry magazine. Print illustrated is an in-house produced, quarterly business-to-business Fujifilm publication featuring industry success stories highlighting Fujifilm customers, spotlights on innovation, and timely and relevant articles for all types of print providers. 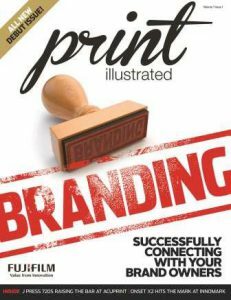 Print illustrated is complimentary to qualified printers in North America. Sign-up for a free subscription by visiting: www.printillustrated.com. Print illustrated is published quarterly by FUJIFILM North America Corporation, Graphic Systems Division. Copyright 2017. All rights reserved.